Previewed at: Dendy Newtown, Sydney, on 13 March 2018. It is a difficult debate and one that will divide the ranks, depending on which side of the fence you sit, and it must be said that the ‘pro’ side of the argument gets short shrift in the film, despite intelligent argument from some of the interviewees. 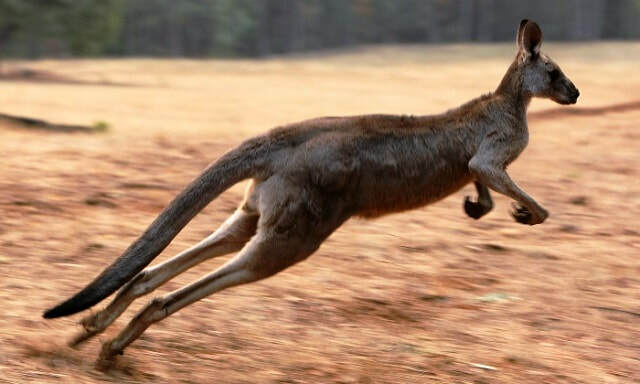 Sheep and cattle farmers are concerned because kangaroos grazing on their properties cause damage to fences and are considered to compete with farm stock for valuable feed. This gives rise to the question, is culling necessary and, if it is, how contained and humane should it be? The filmmakers are clearly on the side of the ‘cons’ and much more screen time is given to the anti-culling activists and proponents. Michael McIntyre’s camera takes us on hunting trips showing creatures being shot and maimed and left to die in excruciating pain, some still with joeys in their pouches and what happens to the joeys is even more difficult to watch. This slaughter for pet-food, human consumption and for companies manufacturing items such as shoes and handbags, is done with little oversight and far from most people’s eyes - no-one takes responsibility for these inhumane acts. The problems with kangaroo culling don’t stop there, for it’s also revealed that the storage of ‘roo meat is not up to contemporary health standards and the flesh often contains traces of E. coli and salmonella because the meat is transported for hours without refrigeration. Kangaroo steak anyone? These issues lie at the heart of Kangaroo: A Love Hate Story and the evidence against the cull is convincing. Interviews with Chris Barnes (aka ‘Kangaroo Dundee’), who has created a sanctuary for injured and displaced kangaroos, deliver strong anti-slaughter views and reveal how cruelly the animals are treated. He is ably supported by the likes of Terri Irwin, Tim Flannery, Peter Singer and others who speak out in support of the voiceless, the animals who can’t speak for themselves. There are some very confronting scenes in this documentary that are hard to ignore. Kangaroo: A Love Hate Story leans very much on the side of the kangaroo’s welfare and will be regarded by some as biased and, as usually happens with activist documentaries like this, it will mainly be viewed by those who are already on side and ignored by those who are pro-culling or simply don’t care. It seems that (sing with me) “Skippy, Skippy, Skippy the bush kangaroo…” may not be around for ever if the current disregard for their welfare continues and the slaughter goes on uncontrolled and unabated.